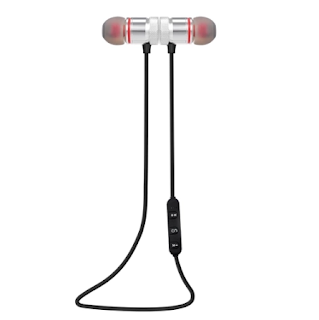 Tiffany's Online Finds and Deals: Wireless bluetooth earphones ONLY $2.31! Wireless bluetooth earphones ONLY $2.31! Check out the great deal on wireless bluetooth earphones. Grab these for ONLY $2.31 FREE SHIPPING on tomtop. This deal makes these cheap wireless bluetooth earphones a great stock up price. You can purchase up to 5 at this price. If you haven't used Tomtop yet, its a great place to buy from. Prices are generally very low with great sales. Note shipping can take up to 6 weeks but usually items arrive much quicker. Wireless Stereo BT Headphone is characterized by Advanced BT 4.1 technology, built-in high-grade Microphone & Speaker, hands-free function and lightweight design. Designed for sports enthusiasts. Wireless BT 4.1 ensures transmitting strong signal in high quality and high speed,delivering high-fidelity stereo music.